Accommodation includes an entrance hall and cozy sitting room with a solid fuel stove, which complements the oil fired central heating, and with a very high BER reading of C3, heating bills will not be an issue. There is a modern kitchen with a very generous range of built in and overhead cupboard space, three bedrooms, two of which are large double bedrooms and one ensuite. The front garden has been removed for ease of maintenance and to offer off-street parking. Claddagh is now one of Galway's most sought after addresses, with a well established community, within walking distance of the City centre and Salthill promenade. Finding a modern spacious bungalow in turnkey condition is certainly a rare find so immediate viewing is recommended in order to judge the quality on offer for yourself. 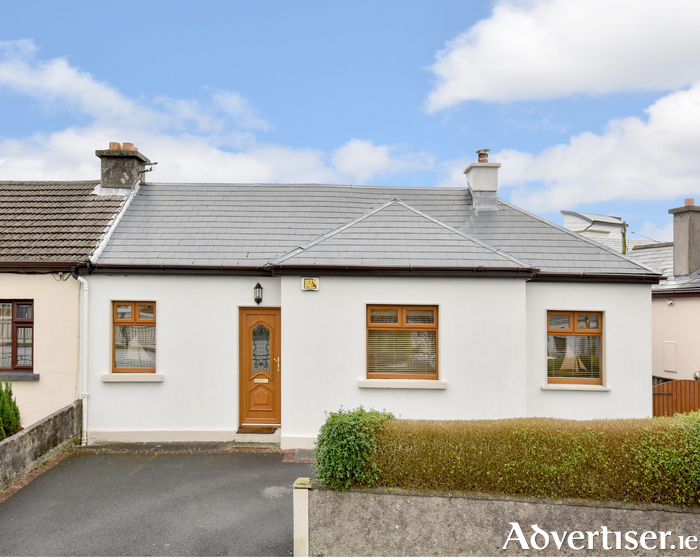 Advised Minimum Value €360,000. Open Viewing Saturday 2.30 to 3pm.